Butcher shop, Cambria City, PA, circa 1910. 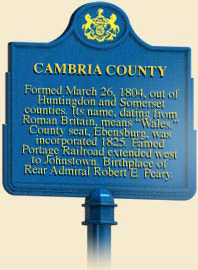 Cambria County was prominent in Pennsylvania bituminous-coal mining, producing coal for steam engines, locomotives, and coke. At its peak in 1942, Cambria County extracted 20 million tons of coal, or one-seventh of the state's total bituminous output. Colver, a coal mining town near Ebensburg, played an important role within the county's mining industry. The Ebensburg Coal Company started constructing Colver in 1910 on farm fields underlain with thick veins of coal. Workers dug the first mine shaft and main tunnel and began shipping coal out in late 1910. The company erected housing for workers and mine supervisors, a company store, hotel, movie theater, school, and churches by 1913. The Ebensburg Coal Company expanded the town and mining facilities during the early 1920s, and production increased to more than 900,000 tons in 1926. During the late 1940s, the company mechanized production, extended tunnels several miles beyond Colver, and extracted about one million tons of coal annually. But during the 1950s, the fortunes of the company and Colver began to decline. In 1956 Eastern Gas and Fuel Associates bought the Ebensburg Coal Company and operated the mine until it had exhausted the coal reserves on its property. In 1978 it closed and sealed the mine, ending a way of life for many residents. Colver's growth, decline, and closure paralleled the rise and fall of the bituminous coal industry in Pennsylvania. At its peak production in 1918, the industry extracted 177 million tons of coal and employed almost 182,000 people. After 1918, the fortunes of the industry cycled down and up, with rises in output during the 1940s, and 1960s and 1970s; however, the long-term trend was a steep decline in production and employment. In 1993, seventy-five years after peaking, state output dropped to fifty-eight million tons, or one-third of the apex. Just over 10,000 people, or about five percent of peak employment, worked at bituminous mines in 1993. The key reason for the long-term decline was overproduction; shrinking markets and increased production in other states forced Pennsylvania's bituminous mines to drastically scale back output. This crisis in overproduction was clear to mine companies and miners after World War I. 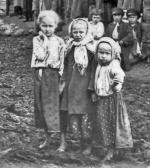 One story told in the mine fields during the 1920s underscored the fundamental problem. A miner's son asked his mother, "Why don't you light the fire? It's so cold." "Because we have no coal. Your father is out of work, and we have no money to buy coal." "But why is he out of work, Mother?" "Because there's too much coal." Markets for bituminous coal shrank due to competition from petroleum and natural gas. In 1929 the main markets for coal were coke ovens, general manufactures, railroads, home heating, and iron and steel mills. But cheaper and more abundant petroleum and natural gas became the nation's principal energy sources during the 1950s and 1960s, surpassing coal. By 1960 oil and natural gas had largely replaced bituminous coal for home heating. Diesel railroad locomotives replaced steam locomotives and spelled the end of that market for coal. Iron blast furnaces at iron and steel mills became more efficient in using coke made from coal, and then in the late 1970s and 1980s many iron and steel mills closed. In 1980 the main uses of Pennsylvania's bituminous coal were steam coal for electrical utilities, coal used in coke production for iron and steel mills, and steam coal and coking coal for export. While markets were shrinking, competition from other coal-producing states was growing. In 1918 Pennsylvania was the clear national leader in coal production. However, the great majority of Pennsylvania miners were members of the United Mine Workers of America (UMWA), which succeeded in gaining higher wages than nonunion miners. In 1920 UMWA miners were paid $7.50 a day, while nonunion miners received significantly less. To meet competition, during the 1920s mine companies turned to exploiting coal in nonunion areas, such as West Virginia and Kentucky, where they could lower their labor costs, and during the early 1930s West Virginia surpassed Pennsylvania in bituminous coal production. Although the UMWA won union recognition in nonunion areas during the 1930s, national production had increased greatly and the crisis in overproduction persisted. The Great Depression also dealt a severe blow to the Pennsylvania bituminous industry, reducing output to seventy-four million tons in 1932. The prolonged crisis of overproduction was a disaster for many Pennsylvania mining companies. To cope with cutthroat competition during the 1920s, companies laid off workers, closed mines, and reduced wages. They also fought the UMWA tooth and nail, including during the Windber Strike of 1922-1923 With the support of John L. Lewis, the president of the UMWA (see John Brophy) companies also mechanized operations to replace workers and cut labor costs. Mechanization helped mining companies greatly improve workers' annual output from 975 tons per worker in 1918 to 5,600 tons in 1993. But it also threw thousands of employees out of work. Tenement housing, Johnstown, PA, circa 1910. Coal-mining companies used other strategies to meet competition, including strip mining and consolidating companies. As underground mines closed and mining companies went out of business, large corporations with heavily mechanized mines came to dominate Pennsylvania's bituminous industry. Beginning in the 1930s and 1940s, firms shifted from underground mining to surface or strip mining. In 1993 almost one-third of Pennsylvania's bituminous output came from strip mines. The number of deep mines dropped precipitously from about 1,800 in 1947 to only eighty-eight in 1990. Strip mines generally cost less to open and operate than underground mines, were safer for workers, and offered quicker returns on investment. The industry's decline was also a disaster for many coal-mining communities. The thousands of miners who were thrown out of work retired on pensions provided by the UMWA, sought other jobs in the region, or moved to find new employment. With fewer local jobs, miners' children often left coal towns, leaving behind parents and a graying population. As local population and incomes fell, local businesses, social clubs, churches, and ethnic organizations closed. And as buildings were demolished or fell into disrepair, tax bases shrank and local governments cut back services. The mine closing in Colver hit that community hard. From the 1970s to 1990s, most of the production facilities and some of the houses in Colver were demolished. Today the only industrial plant left in Colver exploits the waste coal left behind from the mine. A co-generation power plant, constructed in 1993, burns coal left over from eight decades of mining. Arthur Vincent Ciervo, Always in a Hole: Life in a Pennsylvania Coal Town during the Great Depression and World War II (Camp Hill, PA: Plank’s Suburban Press), 1996. E. Willard Miller, ed., A Geography of Pennsylvania (University Park, PA: The Pennsylvania State University Press), 1995. Deryck Holdsworth and Susan Friedman, The History and Physical Development of Colver, Pennsylvania ( (unpublished manuscript), 1998. George Korson, Coal Dust on the Fiddle Songs and Stories of the Bituminous Industry (Hatboro, Pennsylvania: Folklore Associates, INC.), 1965.